Home Air Quality What can I do? There is a direct connection between energy use and air quality, because power plants can be some of the largest emitters of air pollutants. Even though we may not have power plants here in Dallas, pollutants can still drift here from other areas. 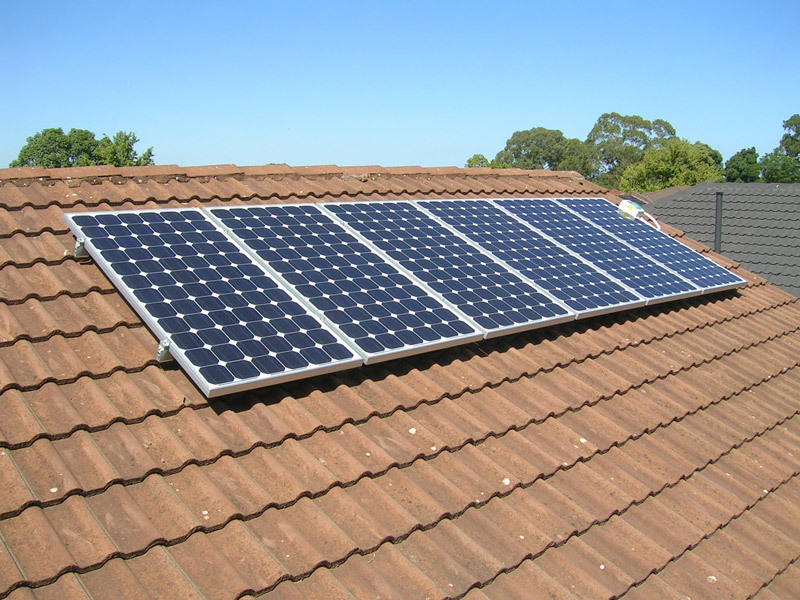 Improving the energy efficiency of your home and using renewable energy sources can go a long way toward reducing air emissions, plus, they can save you a lot of money! Most of the ozone-forming chemicals that are emitted into our air in Dallas come from our vehicles, so if you want to improve our air quality, start with your car or truck. Make sure to keep up with the maintenance schedule, and bring it in promptly for repairs. Always keep the tires properly inflated – remember that cold temperatures in the fall and winter will cause the pressure to drop. If you need to purchase a new car, consider purchasing an electric vehicle; you can get up to $7,500 back with the Electric Vehicle tax credit. Don’t idle your car or truck, especially in school zones! You can read more about the dangers of idling and learn how to report idling vehicles here. Most importantly: walk, bike, or use alternative transportation and commutes whenever possible. 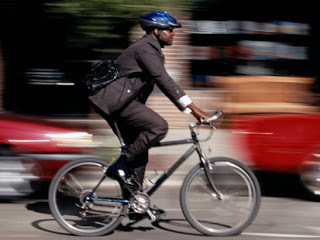 Utilize bike trails and lanes to cycle to work or the store. The Dallas Bicycle Program maintains a map of current and planned routes, along with bicycle safety information and laws pertaining to cycling and sharing the road with cyclists. Participate in regional transportation programs. If you would like to carpool to work, but don’t know where to start, visit Try Parking It from the North Central Texas Council of Governments. You can also track your commute and daily travel activities, and see how much fuel you can save by bringing your lunch to work or carpooling a few days a week. Encourage your employer to set up an account so you can earn rewards for taking steps like using mass transit. Dial #SMOKE when you see a smoking vehicle. If you see a smoking vehicle on the road, you can dial #SMOKE (#76653) from your cell phone and report the license plate, location, date and time of the viewing to the NCTCOG or visit the website. 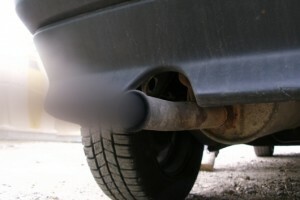 Under Texas law, all motor vehicles are prohibited from emitting visible exhaust for more than ten consecutive seconds. Once notified, the NCTCOG will contact the vehicle owner and notify them that they may have an emissions problem and refer them to the appropriate programs to get the vehicle inspected and repaired. Visit Air North Texas and learn how to take action for cleaner air, whether you are an individual or a local business owner. Follow their Clean Air Corner blog for some great tips on reducing your impact on local air emissions. You can also sign up for Ozone Action Day alerts. The Air Quality Index (AQI) uses colors to show us the quality of the air. When the air quality is good or moderate, the AQI is green or yellow. Once ground level ozone exceeds the federal standard, the color moves to orange. 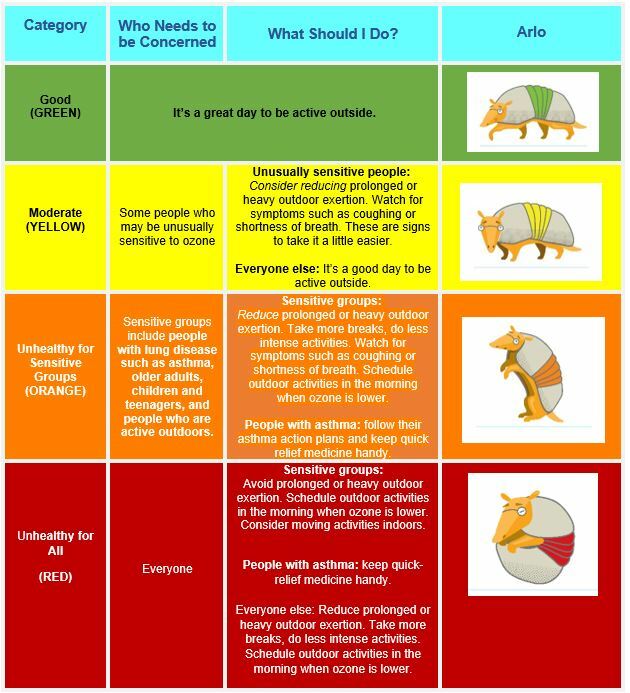 Orange means that the air quality will affect sensitive groups, like those with asthma. When the AQI is red, the air is unhealthy for everyone. Purple and maroon levels should happen rarely, if ever. Use the AQI to help plan daily activities and protect the health of you and your family.